More info on the Bee! To hire a hummer limousine was completely out of charcter for Harold. His friend Steve was coming for a visit to Perth so he wanted to do something completely different. Harold, being a home body, did not have any idea where to take Steve. In fact, and want to just stay home in the evening and watch a video as the last time he visited steve, they had a tour of Sydney and a fancy restaurant meal. When he was browsing online, he came across a blog about how you could hire stretch hummers in Perth for a night out. Well, he thought it was already too late. It was only a few days until he would arrive and may have missed out. The good thing was, he say that as the day was so close, they were able to take advantage of a last minute limo hire Perth services. He couldn’t believe it, and got a great price to hire a Hummer. So harold, Steve and their mates from the club were pretty excited when the hummer limousine arrived. They had all met at Harold’s home in Joondalup where they had already started the night out early, anticipating their first night club on wheels! After a chauffeur hummer cruise into Perth, we stopped for some group photos at the Bell Tower in Barrack St. Another short ride in the limo and then the final desination in the city to continue with their night out. Since the hype has already been started, they were looking forward to with some clubs in Northbridge. 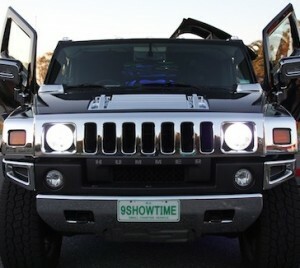 Who would’ve thought that a simple guy like Harold could end up contacting a stretch hummer hire Perth limo service and eventually giving himself and his friends the best and unforgettable, and not to mention unique, night out of their lives? Event: Friend Visiting Perth from Sydney.